In the world of electronics and even in case of databases, we know that a NULL is different from a 0 value or a blank string. A NULL stands for undefined value, however a 0 or a blank string is some definite value. I was recently asked how to prevent string concatenation operations with NULL from resulting into NULL. When I first heard about the question, my response was – “NULL and blank strings have separate meanings. Why would you want to treat these values as one and the same during a concatenation operation?” I was told that the script had to generate a single address field by concatenating Address Lines 1 & 2, City, State, Postal Code and related information. Because fields like the Address Line 2 may be NULL, then the default behaviour would be that the entire result will become NULL. The team were looking for validating one of the options that they had come up with, which is what prompted this post. The AddressLine2 column in the Person.Address table is NULL for a lot of the records in the AdventureWorks2012 sample database. Do note that AddressLine1 is not a NULL value. The screenshot below shows the default behaviour of SQL Server when we execute the query provided above. To change the behaviour of string concatenation with respect to NULL, one can use the SET option – CONCAT_NULL_YIELDS_NULL to OFF. Here’s a quick modification to the script above that demonstrates the usage of this SET option. The result of the query execution is shown below. The method that I consider to be the correct way in addressing the NULL concatenation problem is to use the ISNULL or COALESCE function as shown in the query below. 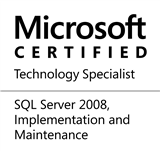 This entry was posted in #SQLServer, Blog, Imported from BeyondRelational and tagged #SQLServer on November 14, 2013 by nakulvachhrajani.